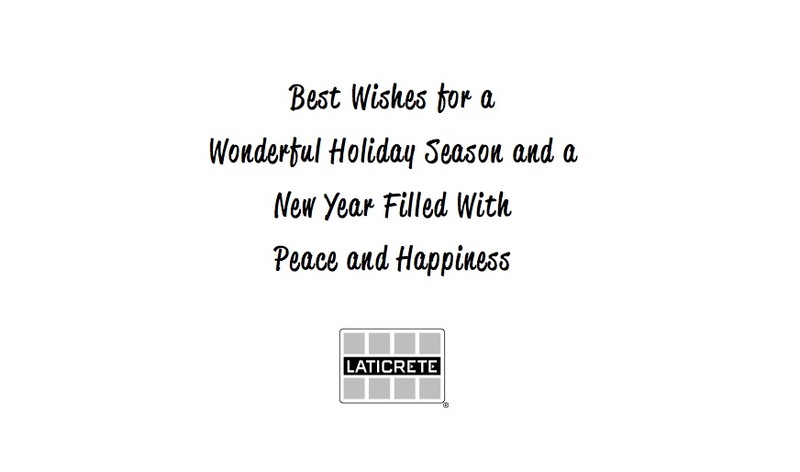 LATICRETE Australia's offices are closed from Monday, 24th December for the festive period and will re-open for business as usual from Monday, 7th January 2013. We wish our customers, clients and employees a blessed, relaxed festive season and all the very best for 2013. 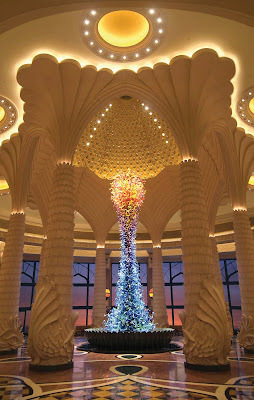 We look forward to working together to make 2013 more Dazzling and Innovative in Tile and Stone Installation Systems. The question of installation sequence comes up quite often when waterproofing membranes are included within a swimming pool / spa installation assembly. 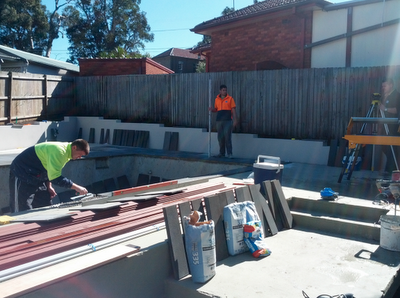 Note that we at LATICRETE have very specific installation details that outline the proper sequence of installation. All leveling / truing up of substrates must be performed prior to the installation of LATICRETE waterproofing membranes. 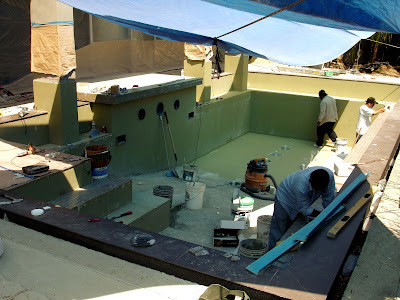 The waterproofing membrane must be installed over all leveling mortars in these applications. 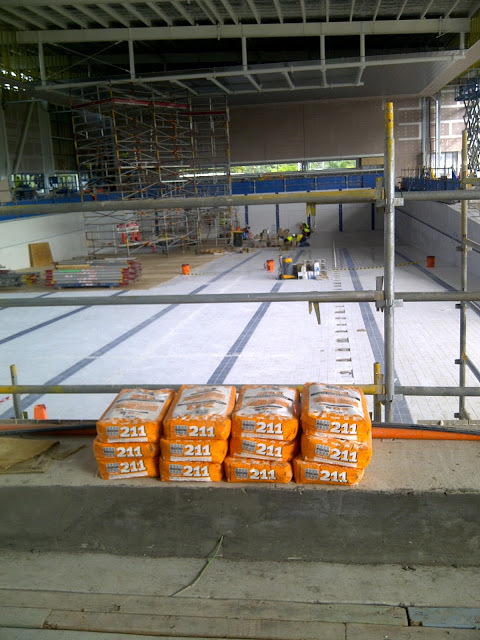 LATICRETE waterproofing membranes perform best when installed directly under the tiled finish layer. 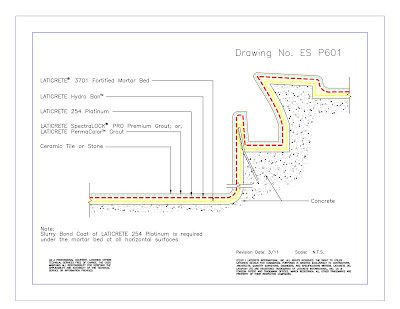 See our Architectural detail P-601 below which indicates the proper sequence of installation. 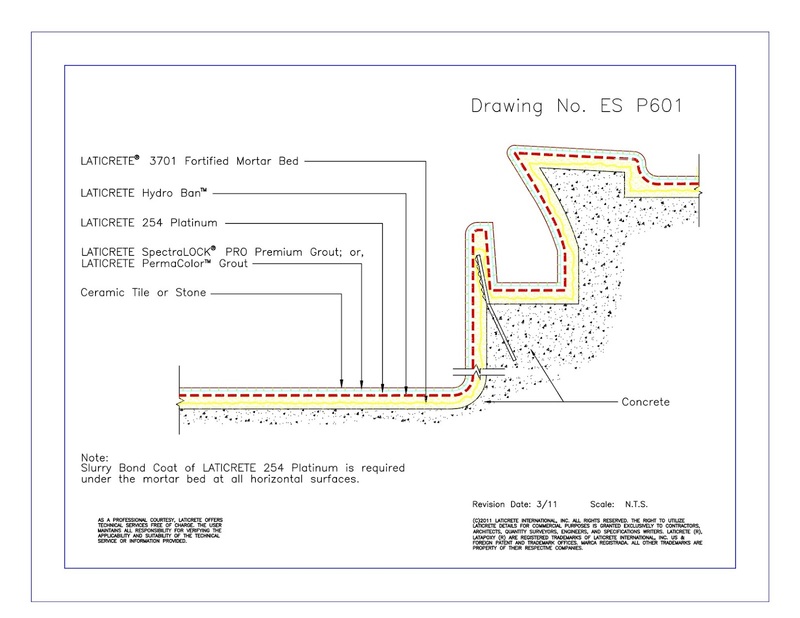 This proper sequence of installation appears in our Waterproofing Membrane Product Data Sheets. 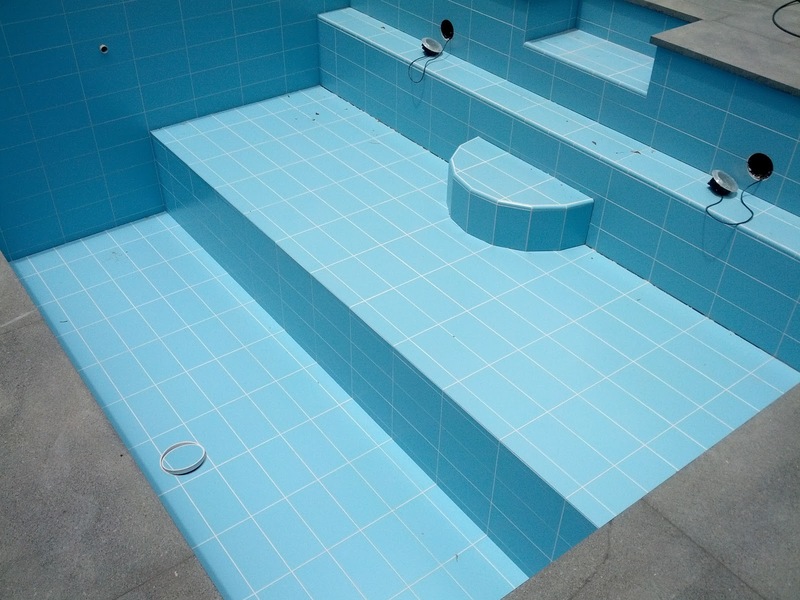 For additional Technical information or specifications for your tiled pool project click here to contact Laticrete Technical support. To view or download a copy of the Tiled Swimming Pools, Fountains and Spas Technical Design Manual click here. 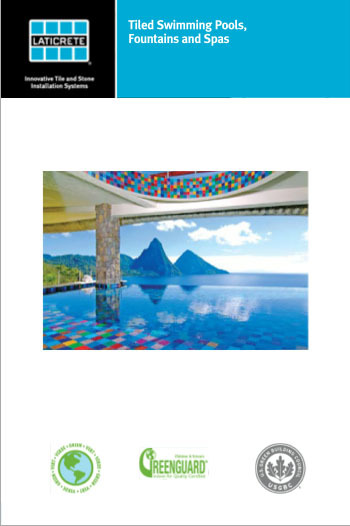 The goal of the Tiled Swimming Pools, Fountains and Spas Technical Design Manual is to assist the design professional in assessing and specifying the correct installation system for tile and stone installations in swimming pools, fountains and water features. LATICRETE 4237 Latex Additive is a specially designed latex additive for use with LATICRETE 211 Crete Filler Powder to make a high strength latex thin bed adhesive up to 3 mm and medium bed adhesive up to 15 mm. For installing all types of ceramic tile and natural stone and agglomerates. 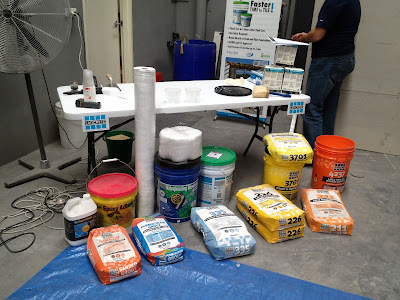 Also for use with Portland cement to make slurry bond coats for mortar beds and with thin set adhesives to give improved performance and longer open time. 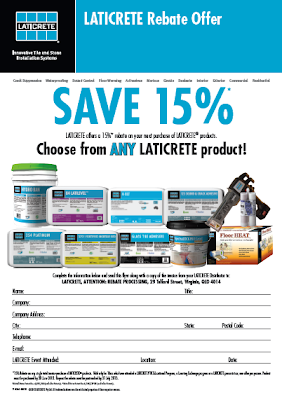 Click here for more information on LATICRETE 4237 Latex Additive. 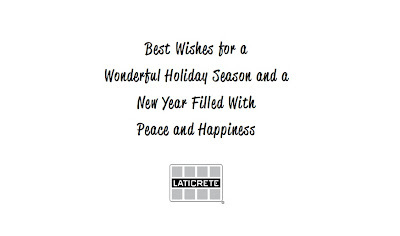 Click here for more information on LATICRETE 211 Crete Filler Powder or click here to contact your local LATICRETE Technical Services Representative. Nick Collett, LATICRETE QLD Technical Sales Representative took the above photos while on a renovation site with the Contractor, Andrew Vale Tiling. 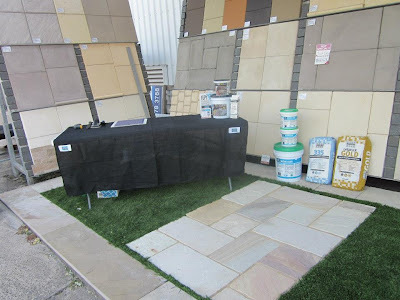 Andrew Vale Tiling is a team of professional tilers. Nick Collett said "These days tile sizes are increasing in size and the tolerances for a level floor is minimal because of this. 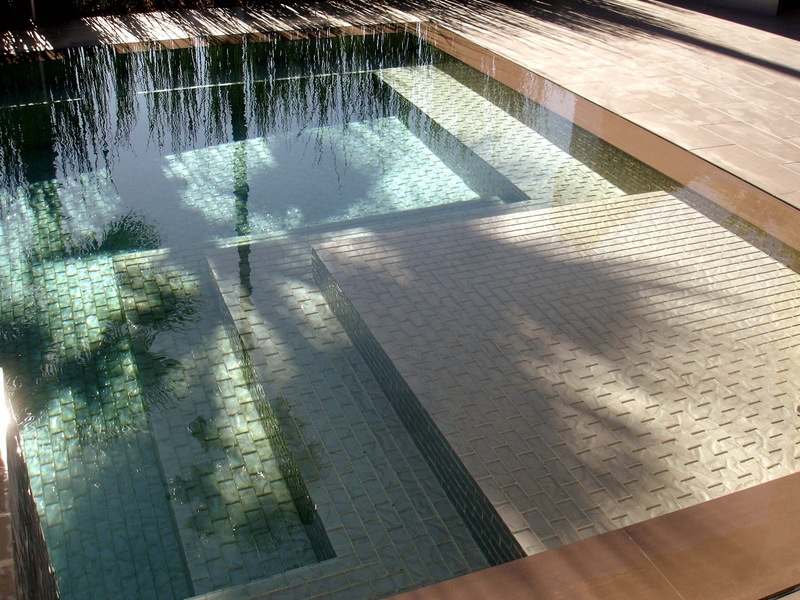 LatiLevel is the perfect product to true up and level the substrate." LATICRETE 86 LatiLevel is a fee-flowing, pumpable cementitious Self Leveling Underlayment mortar for rapid leveling of interior subfloors. Can be poured from feather edge to 10mm thickness in one pour. Dries to a smooth finish. Ready for tile in less than 4 hours. 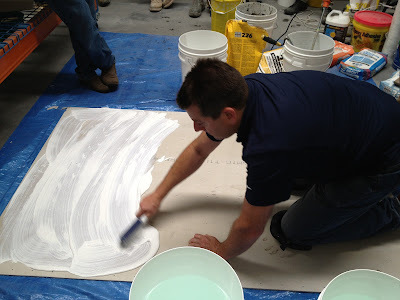 Requires LATICRETE Admix and Primer for a smooth, fast installation. For more information on LATICRETE 86 LatiLevel click here. 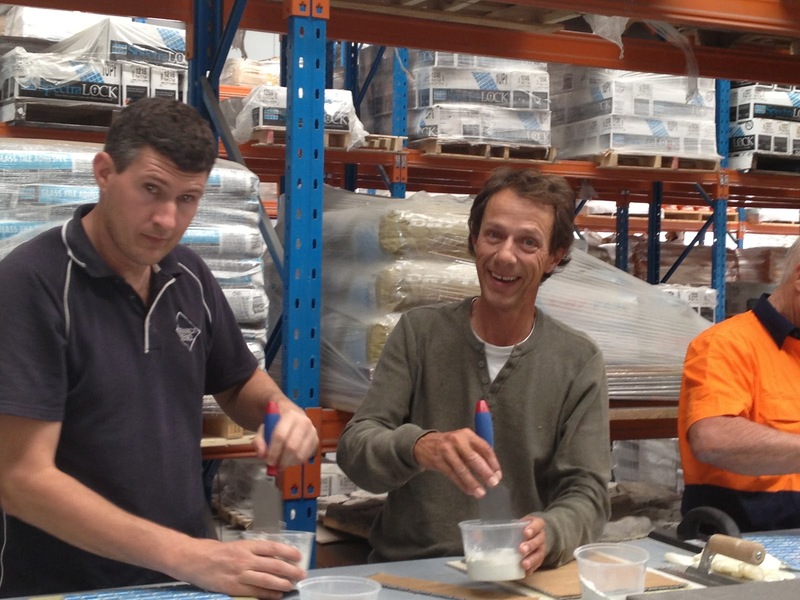 Call our Technical Service Representatives on 1800 331 012 or contact us by clicking here. LATICRETE Australia's offices will be closed from Monday, 24th December for the festive period and will reopen for business as usual from Monday, 7th January 2013. 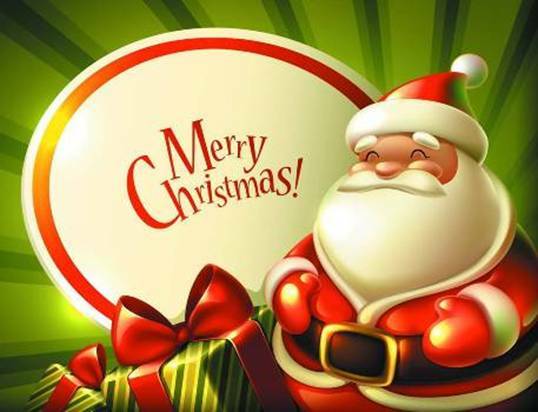 We wish our customers, clients and all our employees a blessed, relaxed festive season and all the very best for 2013. 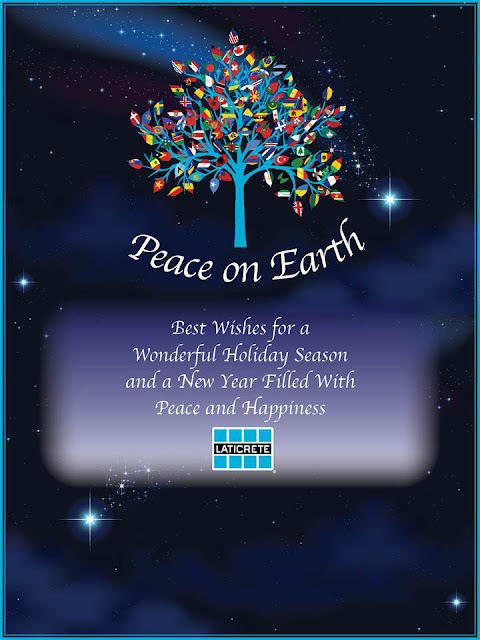 We look forward to working together to make 2013 a more Dazzling and Innovative in Tile and Stone Installation Systems. 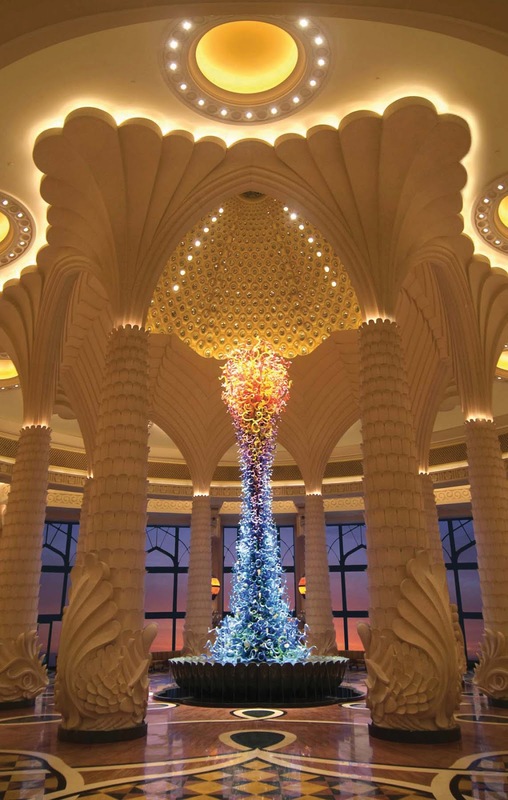 Submit Photos of YOUR LATICRETE Tile and Stone Installations! 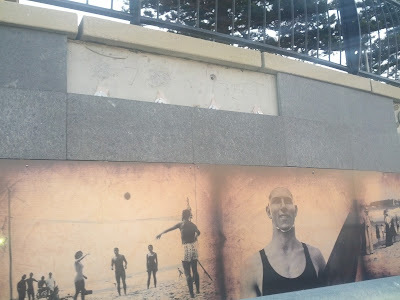 Is a photo credit required to anyone in particular? You may ask - Why should we send photos in? You'll receive publicity for your work and your company! PLUS you never know, your work might get published in some fancy tile, stone or construction publication, with your permission that is! So there is absolutely no reason why you shouldn't and many reasons why you should! Plus you will be getting FREE publicity! When do we require the photos by? 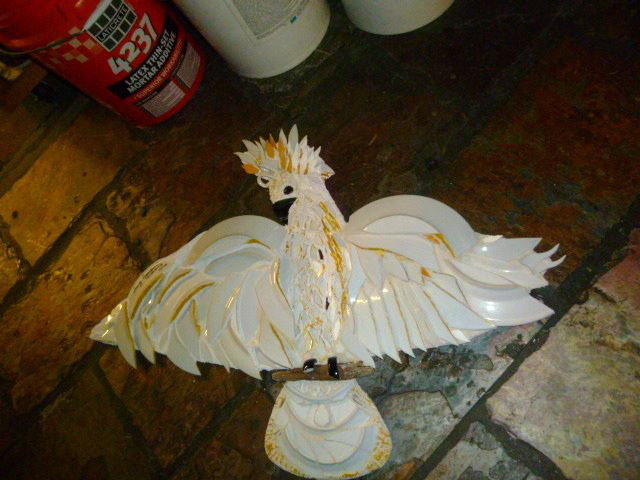 We need your photo submissions in to us by the 15th January 2013. This gives you enough time to think, plan and take or gather photos of your incredible tile and stone installations past & present. 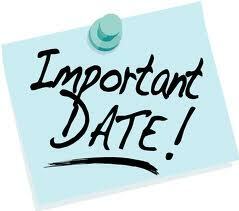 And, this will provide us sufficent time to review your photo submissions and make a decision. 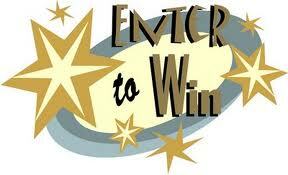 We will publish the winner(s) on our Blog, Facebook, Twitter plus Pinterest. The more photos you send through - the better your chances. That's NOT a LATICRETE System!! 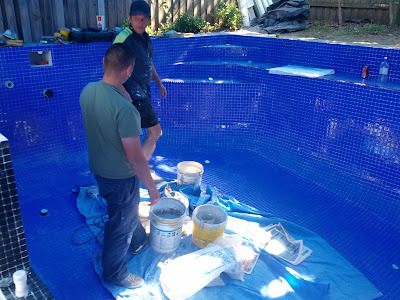 We recently blogged on a failure of an installation on 6/12/2012. Here is another incredibly dangerous example that shows a failure on a multi-million dollar home, on the Brisbane River, due to the wrong system being used and resulted in the above failure. 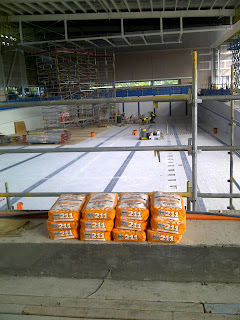 This shows the importance of using the correct system - LATAPOXY 310 Stone Adhesive. Click here for more information on LATAPOXY 310 and to watch a video. Click here for the LATAPOXY 310 Product Data Sheet. 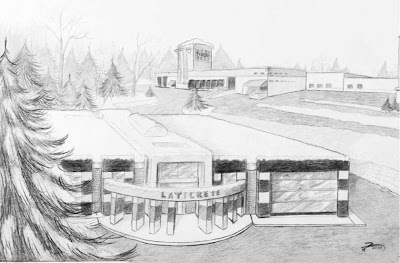 Click here for the LATAPOXY 310 Sell Sheet. Contact a LATICRETE Technical Sales Representative on Free Call: 1800 331 012 for more information, or click here to contact us. 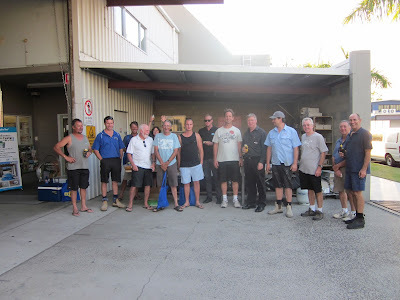 "Hey Dr. - those sea sickness tablets haven't worked"
LATICRETE Australia, Production and Warehouse Team from VIC, NSW and QLD all got to enjoy their day out fishing in Brisbane on Saturday - well some more than others due to sea sickness. Production Manager, Jamie Young said, "The boys and I had a fabulous day out on the water…although we didn’t catch that elusive trophy fish we were all hoping for…we did manage to catch several of the smaller variety. All in all…the sun was shining, the fish were biting and the beer was cold, what more can you ask for...!? 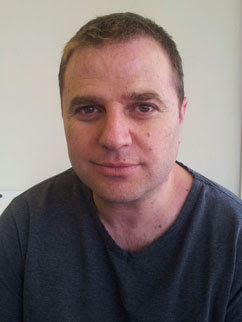 LATICRETE, a world leader in the manufacturing of innovative systems for the installation of ceramic tile and stone, has appointed Bill Katsikanis as a Technical Sales Representative for the Victoria region. 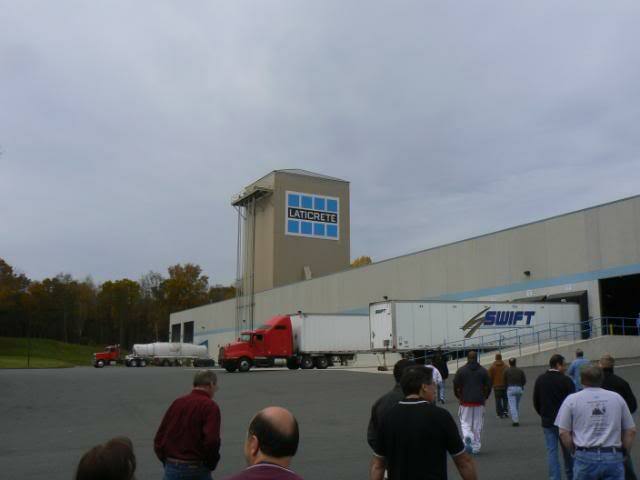 Bill will be based at the LATICRETE VIC Warehouse and Training Facility. He has been in the ceramic tile and stone industry for over ten years. As a LATICRETE Technical Sales Representative, Bill will help support existing LATICRETE distribution partners and customers while seeking out new opportunities in Victoria as well as Tasmania. Bill is engaged to be married. If there's anyone who is passionate about Gridiron football - it's Bill. We welcome Bill on board team LATICRETE! We excited to have Bill on board and wish him all the very best in his new career with us! 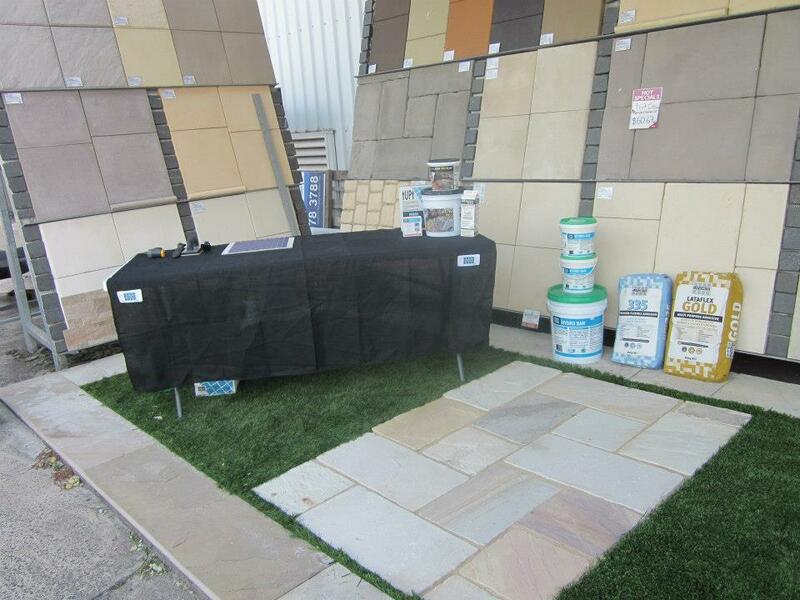 For sales enquiries, Alex and Bill are the LATICRETE Technical Sales Representatives for Victoria and Tasmania. Last week LATICRETE was featured on Fox Business Network's "Manufacturing Marvels," a segment which showcases American manufacturers and businesses. For those of you who couldn’t catch the segment (or for those of you who want to watch it again – like us!) we have it on our YouTube page. Click here to view the segment. Click here to contact us or call 1800 331 012. 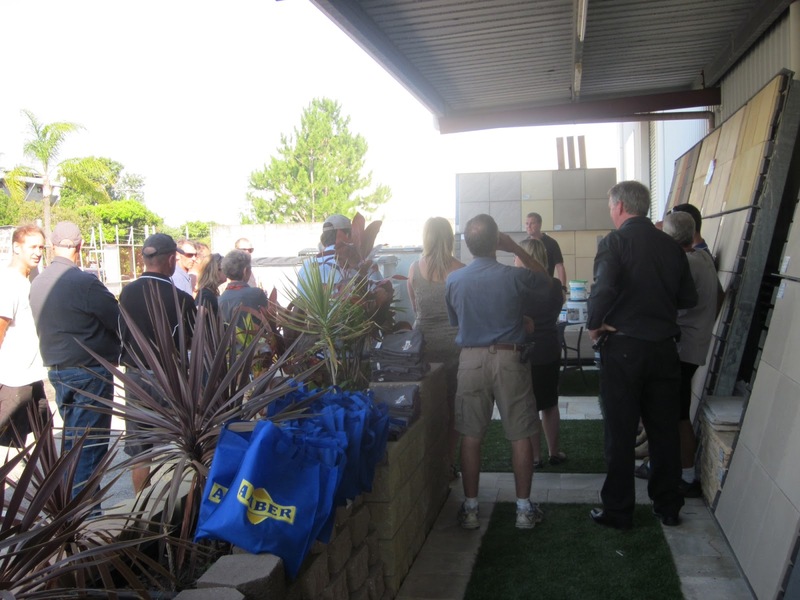 Wright Pools & LATICRETE = Win! 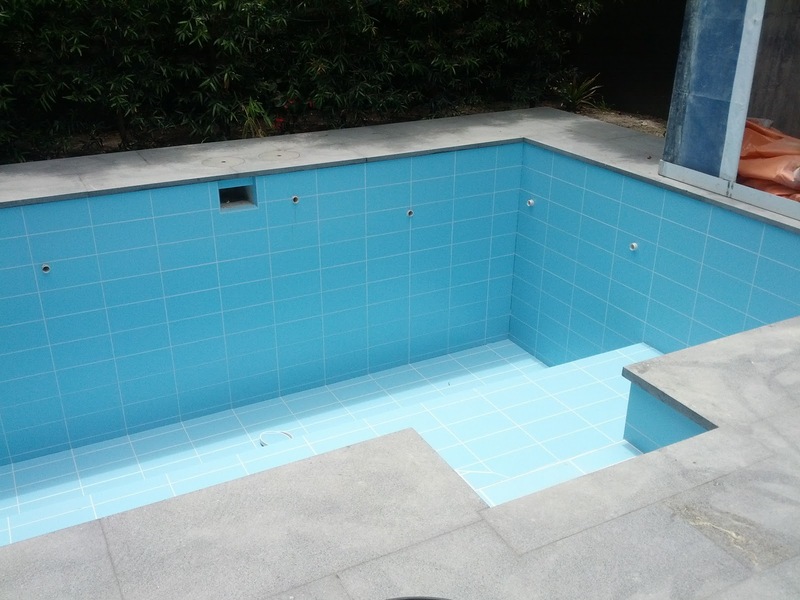 Wright Pools recently completed the above pool project on O'Connell Street, Bondi North, Sydney. LATICRETE SpectraLOCK Pro Grout - click here for more information. We are told Wright Pools has a very satisfied client! Click here to contact a Technical Sales Representative or call, Free Call: 1800 331 012. Reuben Craig, LATICRETE QLD, Technical Sales Representative recently held a successful Trade Day at Amber in Marooychdore, QLD, Australia. Amber, Maroochydore, Owners, Peter & Debbie and the rest of the Amber team: Robin, Krysty, Emma, Wayne and Morris attended the Trade Day. 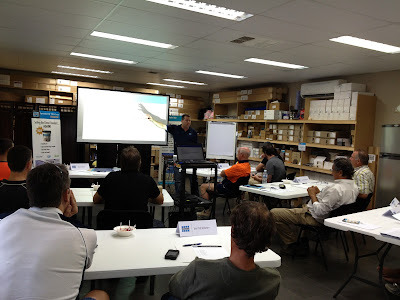 Fourteen of Ambers customers also attended the Hydro Ban and SpectraLOCK demonstration. Thank you Amber for holding the Trade Day, to allow us to demonstrate our products! It was an enjoyable afternoon. We look forward to working with you! If you would like more information on our products click here. Alternatively click here to contact a Technical Sales Representative or call Free Call: 1800 331 012. If Technical Support is what you want, need and require - LATICRETE endeavours to ensure you get it, no matter what the distance! Our LATICRETE QLD, Technical Sales Representative, Nick Collett recently went up to Emerald, which is approximately 900km from Brisbane to provide Techical Support to Contractor, Ceramic Solutions. LATICRETE 290 Super Floor & Wall Thin-Set Adhesive - click here for more information. 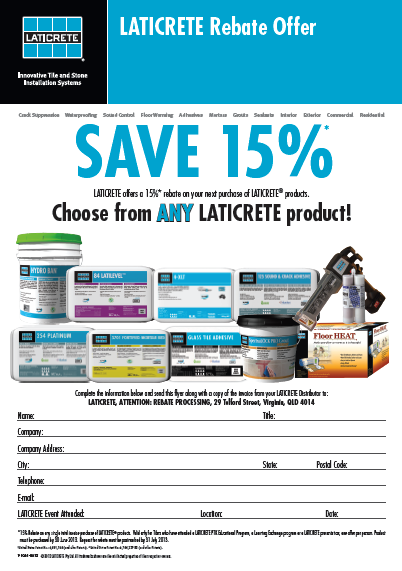 LATICRETE 3701 Mortar Admix - click here for more information. LATICRETE 226 Thick Bed Mortar - click here for more information. For more information on our products and to speak to a LATICRETE Technical Sales Representative, call 1800 331 012 or click here to contact us. 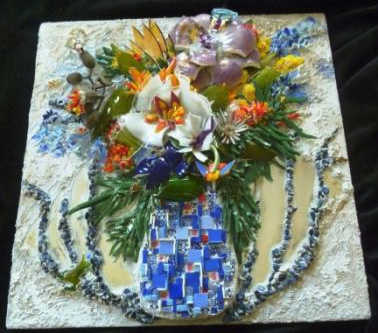 Our dedicated and loyal customer, Sandy Robertson from OzMosaics entered her mosaic piece, "Petal Power" and was awarded "Highly Commended" by the judges in the MAANZ Seductive Smalti 2012 Melbourne Exhibition at Bundoora Homestead. Well done Sandy - we love your work!!! Sandy used LATICRETE Thin-Set Adhesive in the above mosaic. 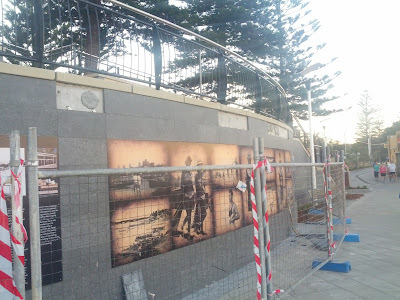 To read more on the award and view Sandy's wonderful mosaic murals and project pieces, using LATICRETE materials visit OzMosaics web site, by clicking here. 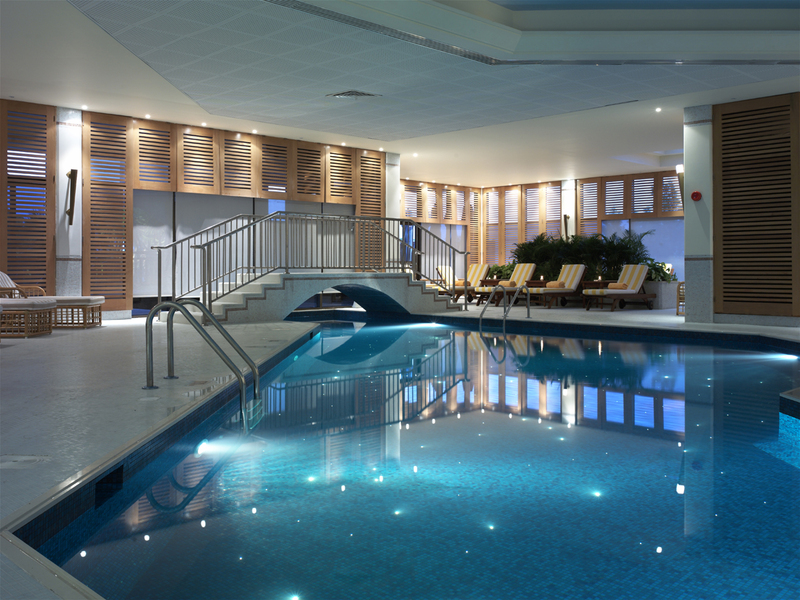 For more information on LATICRETE, view our products and materials click here. Alternatively call a LATICRETE Technical Sales Representative on Free Call: 1800 331 012 or click here to contact us. LATICRETE Australia's, Research and Development Chemist, Dr. Surendra Patel, a.k.a Doc, shows how at a very early age, the LATICRETE children also want to be part of the LATICRETE family. A personal message from Naman, "Thank you Uncle Henry for my awesomest t-shirt." Oh Gosh - What happened here? This above attempted installation is of 300 x 600 granite. Besides the installer using a spot bonding method and using cementitious adhesive, the substrate is pre cast concrete. Speak to your local LATICRETE Technical Sales Representative for the correct installation method when using a Spot Bond System such as LATICRETE LATAPOXY 310. Click here for more information or call Free Call 1800 331 012. Keep up-to-date on our materials and their features? Get a rebate on a purchase up to 15% once attended? If you have answered YES to any of these questions and you don't want to miss out on the experience, then you MUST click here for all the information on our Profit Through Knowledge (PTK) Seminars for 2013! Alternatively call our Technical Sales Representatives on Free Call: 1800 331 012 or contact them here. Spaces are limited - so reserve your seat and don't get left behind!